Magic at the speed of sight! What is invisible to your audience, even under close inspection, is clearly visible to you from across the room! It's a powerful card marking fluid. 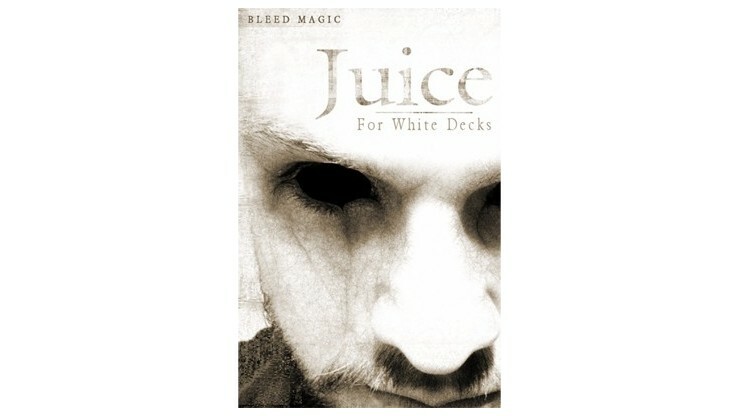 Use Juice for Black Decks with ALL black playing cards, including reverse and combination decks. Demonstrate your psychic powers and perform awesome card magic! Make your mark! Your designs are easier to remember than pre-marked cards. Simply apply juice to the back of a playing card and wipe away the excess to etch your own custom design! Juice for Black Decks features an exclusive coat-eating chemical that instantly removes the card's finish, providing direct contact to the paper. The result is a huge, easy to read mark that's invisible to the audience! Includes instructions and two ounces of juice in a convenient leak-proof bottle. 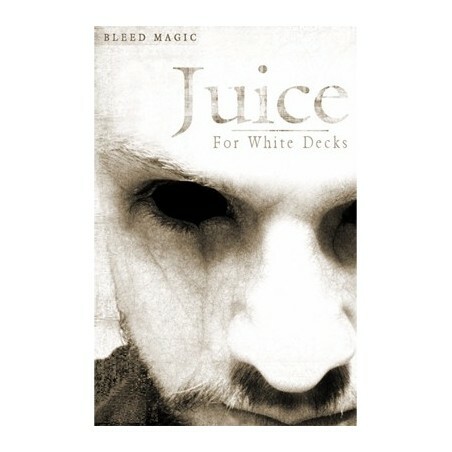 Juice is a substitute for many tricks requiring a key card, marked card, or memorized deck system! What's the difference between a Juice Deck and a Marked Deck? Both are "marked" cards, but instead of a solid mark or design flaw, juiced cards contain huge markings that are only a shade or two darker than the card's back color.